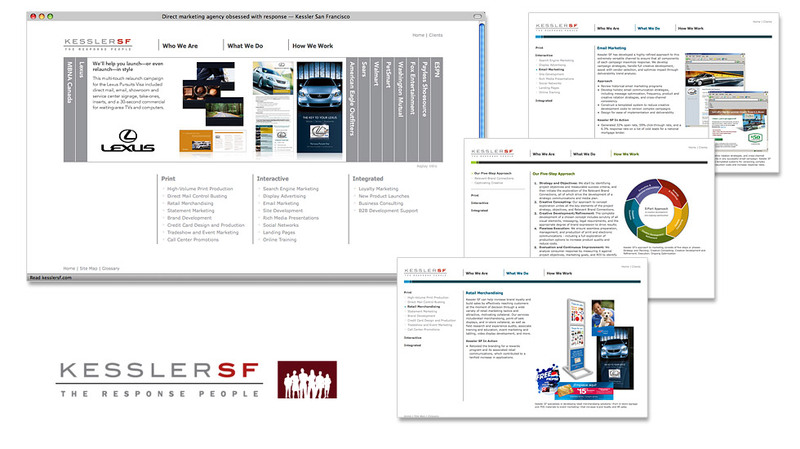 Kessler SF was a direct response agency with clients primarily in the financial services sector. The web site launch punctuated a complete agency rebrand that included a new identity and a separate Web site for Kessler Interactive. Unfortunately, the launch also happened a few weeks before the agency closed its doors due to the collapse of their core client, WaMu. Art direction and visual design, content strategy and SEO.